Rhone Enterprises, L.L.C. is a privately held Real Estate Management Company located in Gretna, Louisiana. Founded in 1964. Rhone Enterprises, L.L.C's primary focus is single & multi-family management. Rhone Enterprises, L.L.C has hands on Management and Maintenance Staff to insure the residents move in and stay are a pleasent experience. 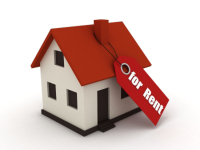 We employ one Property Manager and have a Maintenance staff that consists of 4 employees. Our Maintenance Staff strives on quick response times.